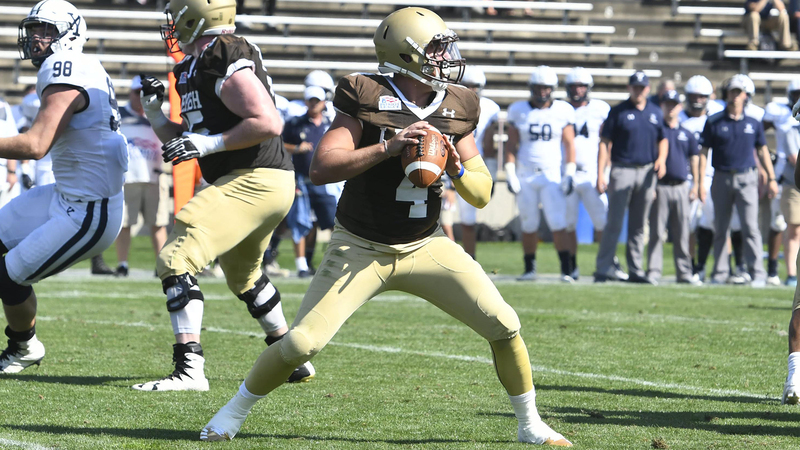 Lehigh’s spring session is in full swing, and there’s no question who the opening-day starter will be at quarterback, barring injury – that would be rising senior QB Brad Mayes. Mayes had a great season last year, helping the Mountain Hawk offense to tremendous production again, picking up exactly where Montreal Alouette QB Nick Shafnisky left off after the 2016 season. That doesn’t mean Mayes is sitting back sipping an iced tea while his teammates are busting their humps this spring, however. He’s been busy.